Condition: New Sealed. Model: 48656. Box is worn. See pictures. Never Assembled. Has all pieces and instructions. Hard to find item! Sold as is. 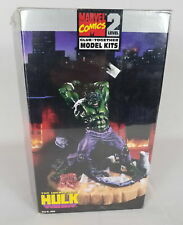 New in Sealed Box - MPC - The Incredible Hulk Snap Model Kit. RARE! 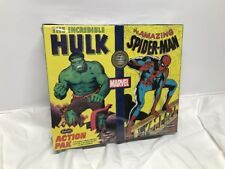 Polar Lights Marvel Comics The Incredible Hulk Model Kit FACTORY SEALED . 1:8 scale Cbeck out my other great collectibles!! Our goal is to provide you with a Superior Product and Excellent Service. If you have a problem with your item or feel that you can not provide. Box is in nice shape with vivid colors. Box as is open but never used PLEASE scroll through the pictures and ask questions about before bidding. 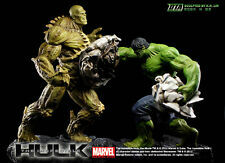 1st HULK toy to ever be made.and sold on the market. great old stuff from my collection.to you. Mint, UN-built.no glue/no paint. original old Comic book included! (photo shortly) #106. It is unbuilt / unpainted, and the parts are still factory sealed. The kit is all original, part of the pieces are still on the tree, all pieces are in excellent condition, as are the instructions, still white and very nice. One small indention on the bottom right edge, also shown in photos, otherwise, a stunning, high grade box, see the photos. Item is new in box and factory sealed. See photo(s)! Sold AS IS. MARVEL AVENGERS INCREDIBLE HULK PAPER CRAFT DIE CUT 12 INCH POSEABLE FIGURE~NEW! 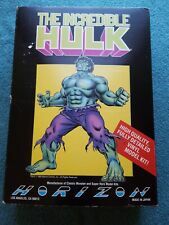 (1)The Incredible Hulk model kit. Skill Level: 2. Scale: 1:8 scale. Material: Plastic. Actual model shown in photo. Model #: 4101. We will help you in any way that we can. a pretty image. The picture shows size as well. Snap assembly, no glue or paint required. 19 parts model. Molded in green and purple. The Incredible Hulk. Dynamic Theater Arts. Marvel . Ultra Rare . Have not been used, installed, or disassembled. ★★★★★★★★★★★★★★. AUTOPART USA. The Incredible Hulk. Dynamic Theater Arts. Marvel . Full Set of 6. 100% Official Product By. This cool kit celebrates the Incredible Hulk's mighty adventures that we've all enjoyed for years in comix, TV shows, movies and more.. and now you can create a MIGHTY HULK of your very own. 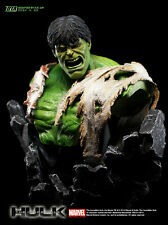 Kit features great details, from the Hulk's frayed pants to the crumbling earth upon which he rages!